The Ie forms part of the renowned Eleven City Tour for ice-skaters. 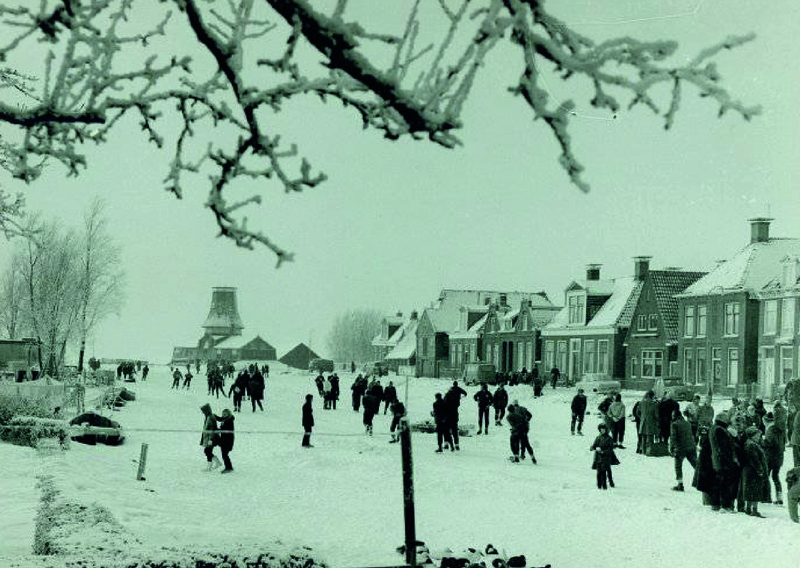 By the time the ice-skaters pass Woudsend, they have covered approx. 35 kilometres. From their starting point in Leeuwarden, they pass Sneek and IJlst, before skating under the bridge to continue their tour towards the Slotermeer, where they collect their third stamp in Sloten. 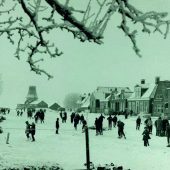 It was extremely cold during the 1963 edition of the Eleven City Tour and the weather conditions were so appalling that participation threatened to lead to loss of lives. Despite a temperature of -18 degrees Celsius, around 10,000 participants set off, but only 127 of them reached the finish line. Finally, there were no fatalities, however, hundreds of participants were wounded, suffering from broken bones and frost-bitten private parts and limbs. Reinier Paping was the winner of the hell of ‘63 with a 22 minute lead on number two. Queen Juliana and Crown Princess Beatrix congratulated Paping in the first aid tent on behalf of the Dutch population. This famous ice-skating tour has earned the eleven cities of Friesland special renown. In the absence of severe winters, increasing numbers of locals and visitors like to participate in the ‘tour of all tours’ using alternative means of transport to ice-skates. In the meantime, dozens of other ways to discover the cities and to accomplish the Eleven Cities Tour have been developed: by bike, on foot, by (vintage) car, by lorry or garbage truck, rowing, pedalling, sailing, swimming, roller-skating, surfing, by moped, scooter or motorcycle, by tractor and so much more. And all of these means of transport have come to replace that grand Tour of all Tours.